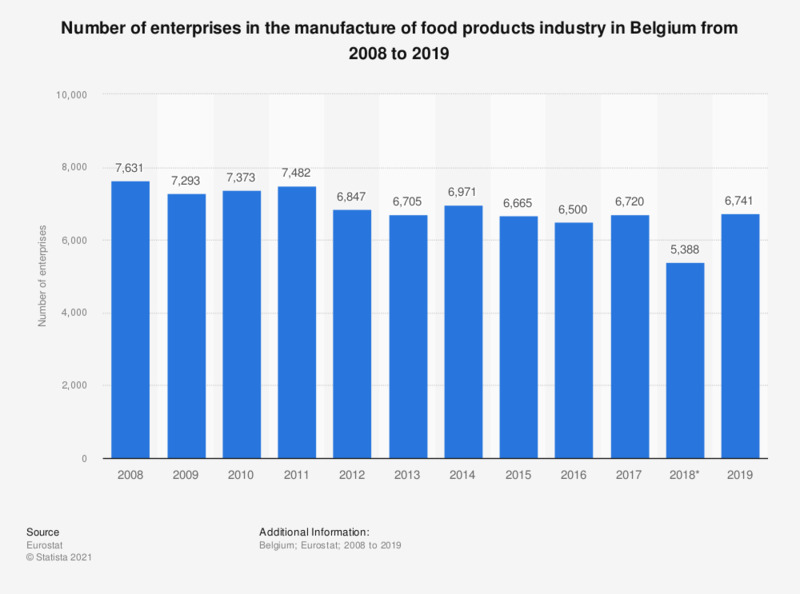 This statistic shows the number of enterprises in the manufacture of food products industry in Belgium from 2008 to 2017. In 2014, there were 6,971 enterprises in the manufacture of food products industry in Belgium. Data coverage corresponds to code C10 of NACE Rev 2. Everything On "Bakery products in Belgium" in One Document: Edited and Divided into Handy Chapters. Including Detailed References.